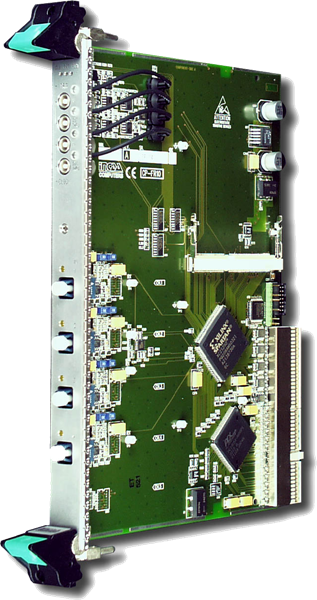 The FR10 module is a 4 channel fiber optic receiver module with onboard memory in a 6U high CompactPCI form factor. Each fiber carries 4 data channels. These data channels are demultiplexed into 4 separate channels resulting in 4 times 4 = 16 channels. The received data is stored in onboard memory on the event of the sample clock. 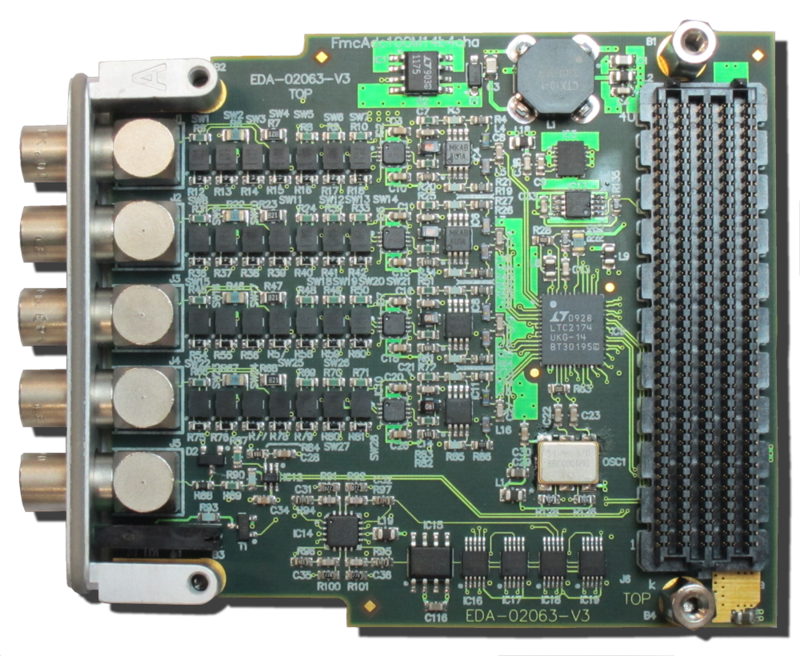 The module is capable of receiving data at 200 kS/s per channel. The memory is organized as a ring buffer. After the event of a trigger a programmable number of post trigger samples will be stored into this ring buffer before sampling stops. 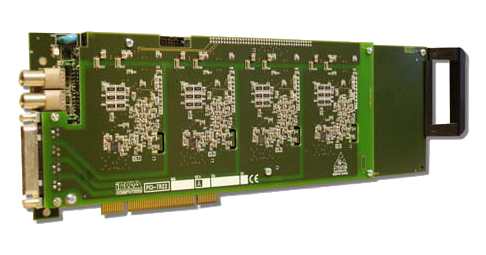 The samples in memory can be copied to the PC memory with DMA transfers. In parallel samples are also available through FIFO’s at sub sample rates for control applications. 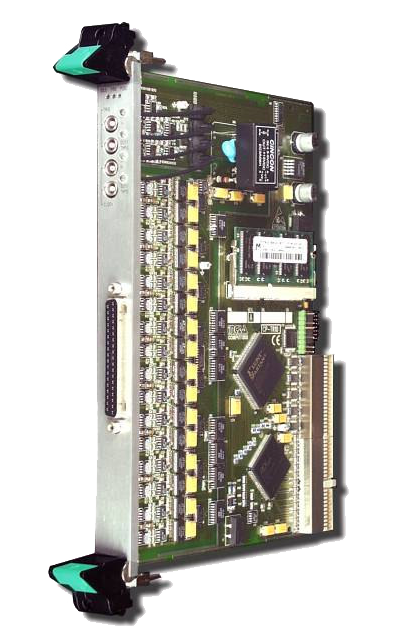 The depth of the FIFO’s is software selectable, 1, 2, 4, 8 or 16 samples per channel.